The return of accumulating snow comes back Sunday. 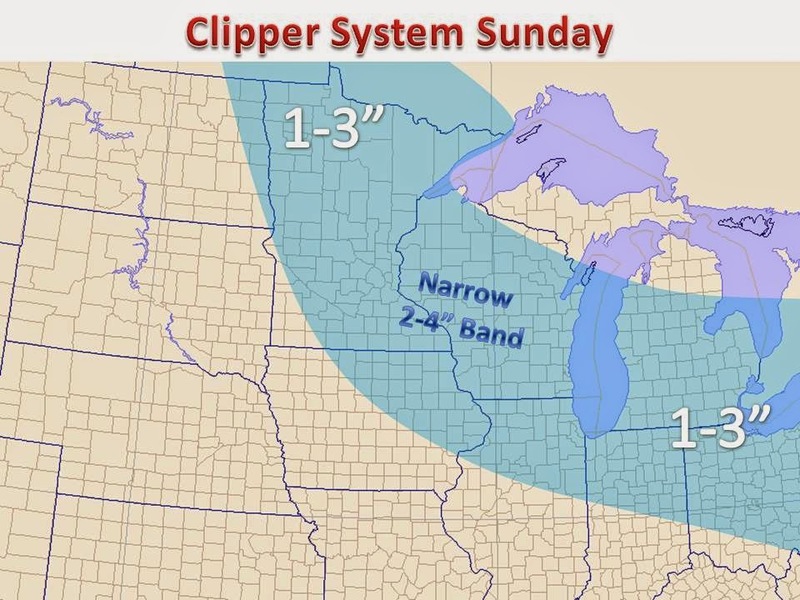 A wide swath of 1-3" will fall Sunday, with the potential of a narrower band of 2-4", maybe 5" in the heaviest locations. Models are having problems pinning down where this may occur, so we have not included in our snow map. As the events draws closer, we will tweak and add details to the map on the left. The latest trends have been pushing the accumulating snow further south. Stay tuned for more updates throughout the next couple days.